Really, truly, and honestly, I had no intention of being away for nearly a month when I last posted. On a personal note, I've returned to my old position at the retirement community. Some of you may remember that I left to care for my father. When my position opened back up I was more than happy to return. It turns out I missed my team and my people. I confess, I really, really like being at home but in being home too much I became lazy--awfully lazy as I keep saying. It's not that I was doing nothing; I filled my time with activity. It's only that I had so little to show for it some days. Some people would call it "piddling." There's an art to piddling you know. Mr. Rick Bragg writes about it here. Piddlers probably live longer. Now I'm free to piddle only half the time. Less than that, really, but I'm much more efficient now in the things that need doing. How else can I work in piddling time? But on to the topic of letters. The United States Postal Service issues many different stamps as you know and many of them commemorate an event or a person. I find that such stamps lead me to internet searches to find out more of the person or event in question. 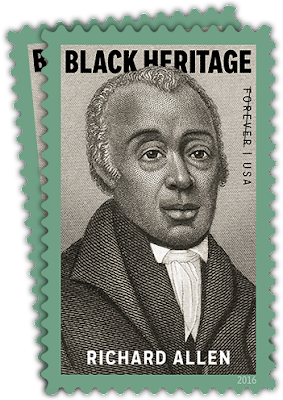 Reading about Richard Allen I thought, "Well that's interesting," and put a sheet of his stamps in my cart. I also purchased JFK stamps and more Civil War stamps. It's a pity I have no green sealing wax that's mailable. 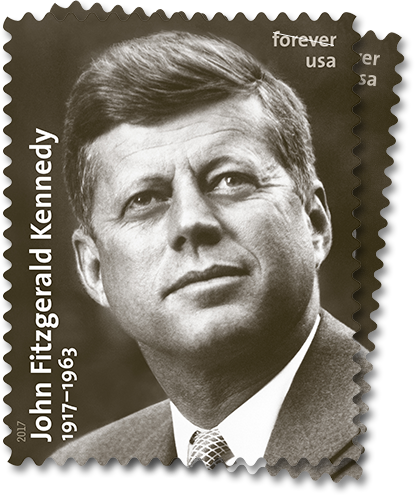 The JFK stamps are very nice looking. I like them almost as much as the Ingrid Bergman stamps. They're huge though. 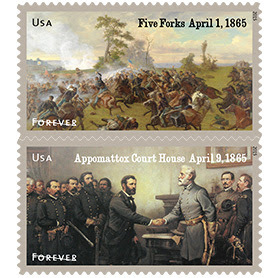 Among my all time favorites are the Civil War Stamps. They're just beautiful. Only 1865 is left in stock. When they're gone, they're gone. I'll enjoy them when I can and hope the post office continues to make more things of beauty. Now, to come back round to the topic of piddling. I have made my own envelope template and have been making more envelopes. Mr. Bragg might argue that as envelopes need making, to make them is not piddling. 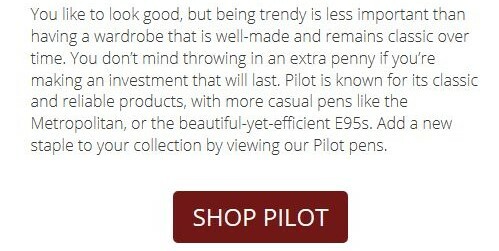 I assure you that it is piddling. The evidence is in the derived satisfaction. Actually its been close to two months . . .
good on you and that is a lovely thing to return ...Good luck and best wishes that all goes well.